As everybody knows, Lent Madness goes together with coffee like…saints go together with brackets. Well, today is a big day, as it’s the official release day for Lent Madness creator Tim Schenck’s new book on coffee and faith! 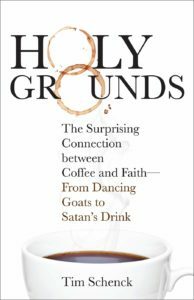 In Holy Grounds: The Surprising Connection between Coffee and Faith – From Dancing Goats to Satan’s Drink (Fortress Press), Tim serves up his usual dollop of wit with a side of inspiration. And, as it makes the perfect Lent gift for all your family and friends, we encourage the Lent Madness faithful to buy multiple copies for everyone on your Lent list this year. If you like your coffee with a bit of inspiration, a hint of humor, and a dose of insight, you’ll enjoy pouring a mug full of java and curling up with Holy Grounds. 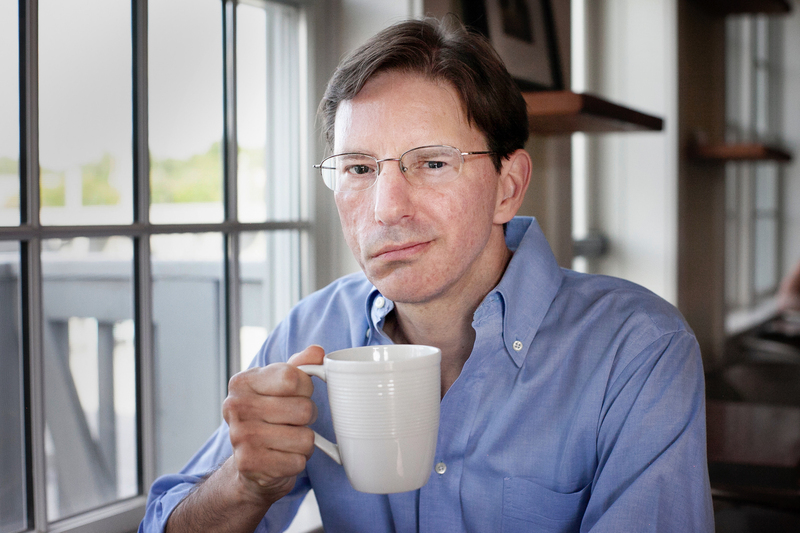 Popular author and avid coffee drinker Tim Schenck brews just the right blend of the personal and historical as he explores the sometimes amusing and often profound intersection between faith and coffee. From the coffee bean’s discovery by ninth-century Ethiopian Muslims to being condemned as “Satan’s drink” by medieval Christians, to becoming an integral part of Passover in America, coffee has fueled prayer and shaped religious culture for generations. Along the way, he examines the power of ritual, mocks bad church coffee, introduces readers to the patron saint of coffee, wonders about ethical considerations for today’s faith-based coffee lovers, and explores lessons people of faith should learn from coffeehouse culture about building healthy, authentic community. With deep research, a genuine love and devotion for the subject, and just enough of that characteristic snark to keep it funny, Schenck takes the novice and the aficionado alike on a coffee journey that will leave you craving not only coffee but the connections in community that have made its enjoyment so transformative for thousands of years. Schenck teaches us about the justice and history and taste of coffee so we can taste the true gift of being alive in God’s amazing creation. Buy the book, read it over a cup, and share your new appreciation of one of the oldest and most common beverages with a friend. Holy Grounds goes down as smooth as a great cup of coffee should. A must-read for any over-caffeinated history lover! Take advantage of Amazon’s Look Inside feature to read a few sample pages. Then, if you’re still not convinced this is the book for you, you can always go back to drinking bad coffee out of styrofoam cups in dimly lit church basements while reading back issues of no-longer-published church magazines. Tim Schenck is an Episcopal priest, author of five books full of faith and humor, syndicated columnist, and creator of the popular online devotion Lent Madness. He serves as pastor of St. John’s Episcopal Church in Hingham, Massachusetts. When not tending to his congregation, writing, or drinking coffee (often simultaneously), Tim enjoys life with his wife, Bryna, two teenage sons and the family’s two dogs. Follow him on Twitter @FatherTim. 16 Comments to "Holy Grounds Book Launch!" Well, as I am a tea drinker, will this book still speak to me? Am I the only one who doesn’t have a “Lent list” of folks expecting presents from me during Lent? 🙂 Hoping to find this in the Shrinemont, VA gift shop when my church has its annual retreat there next month. Never any love for us tea drinkers. Anne Burton, poor us. Maybe tea drinkers will not find anything in the book to guide us on our way. I am reading my copy now. Who am I to resist the urging of Jennifer, my bishop? Particularly when I always urge the return to the bracket of another bishop… Does the author offer a long-distance blessing upon my copy when it arrives? It’s not on Amazon.co.uk !! I’ll have to spend $$, culturally inappropriate in lots of ways for an English tea-drinker. But I’ll brave the elements, after all, it can’t be worse than Brexit, can it? Looking forward to broadening my outlook. Just as Lent Madness does! Sue Goodman, Nothing worse than Brexit? I thought there could be nothing worse than 43 and then, oops, lookee 45. As a devotee of tea myself, I have to wonder is the book will speak to me, what with all that emphasis upon coffee. Down here in North Carolina we have coffee and tea drinkers who are active participants in our “coffee hour” I can’t wait for my preordered copy to arrive! WHY is Tim not using a Lent Madness mug in the photo at the bottom of the post? I am shocked, I tell you! Shocked!!! This is even more painful than him showing a Lent Madness mug that is not available in the Lentorium. Ahhh, how it saddens me when the great ones reveal feet of clay. Additionally, he looks grumpier than Grumpy Cat in that photo. In case anyone wants to order from an independent bookstore or talk the local public/parish librarian into ordering a copy the ISBN is 9781506448237. And so far WorldCat hasn’t located any libraries with a copy in their catalog. Yet. 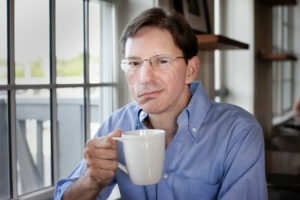 “WHY is Tim not using a Lent Madness mug”? Can you be sure he is and I’m sure the perils of Diana or someone will be after him if he isn’t!? If you’re drinking with your right hand (which most of us do!) The “pithy words of wisdom” are nearly always facing the imbiber. Doesn’t really make much sense, does it? Would it be too much to ask for the inscription to be put on the other side of the mug, for all the world to see? I agree! Put the inscription on the “other” side so it can be seen by everyone.